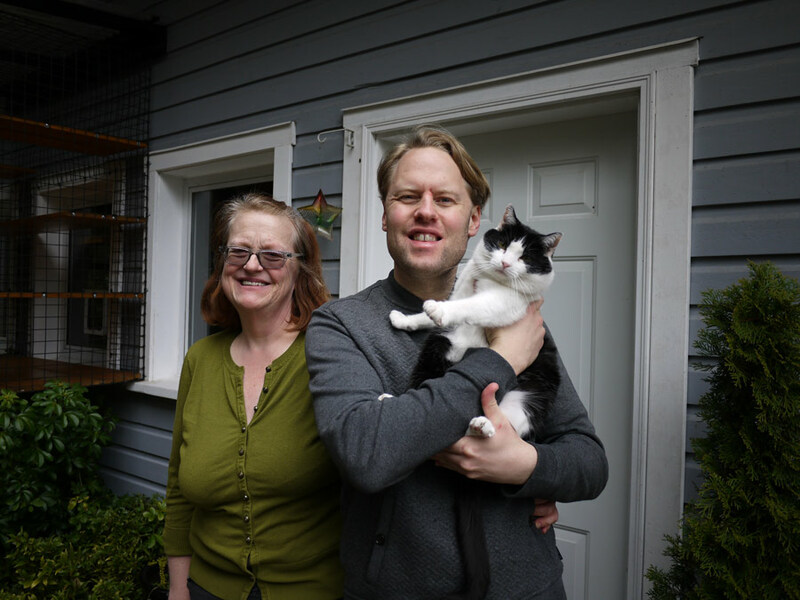 Lornna Olson and Adam Newton moved to an acreage in Saanich in 2011 to fulfill their long-time dream of opening a tranquil, custom-designed cat boarding kennel. Lornna and Adam have both enjoyed long and varied careers in the social services sector. They met in 2001 when they worked together as mental health support workers for the Capital Mental Health Association. They married in 2007. 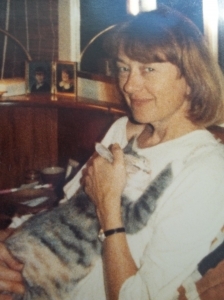 Lornna’s mother Jacqueline Harrod-Olson, was a cat kennel operator and passionate cat fancier. Cats have been an important part of Lornna’s life since early childhood, and she ran a small, “word of mouth” cat sitting business from her Esquimalt home. Adam, on the other hand, grew up with a half-dozen birds and developed his infatuation with the feline persuasion through his relationship with Lornna. He is now an ardent cat-lover and experienced cat caregiver. Lornna and Adam guarantee that every kitty who stays in our “Cattery” will receive the unconditional love and attention that they deserve. Our business is dedicated to the memory of Jacqueline Harrod-Olson. She’s out there somewhere and I am sure that she is still somehow taking care of cats. "Lornna took excellent care of our cat during the five weeks he spent at The Cattery. She maintained his strict diet, brushed his coat and gave him personalized attention - all of which was noticeable in our cat's appearance and demeanor when we came to pick him up. Lornna also responded to all of our emails while we were away, which gave us peace of mind. I highly recommend The Cattery to other cat owners."